Hello Cuties!! !Hope you all are doing well & enjoying this motherhood phase 🙅. From past few days my baby’s diaper leaked like hell in nights. Seems like that someone has literally peed on bed. I really not sure why it happened as the diaper I was using earlier was doing an excellent job. 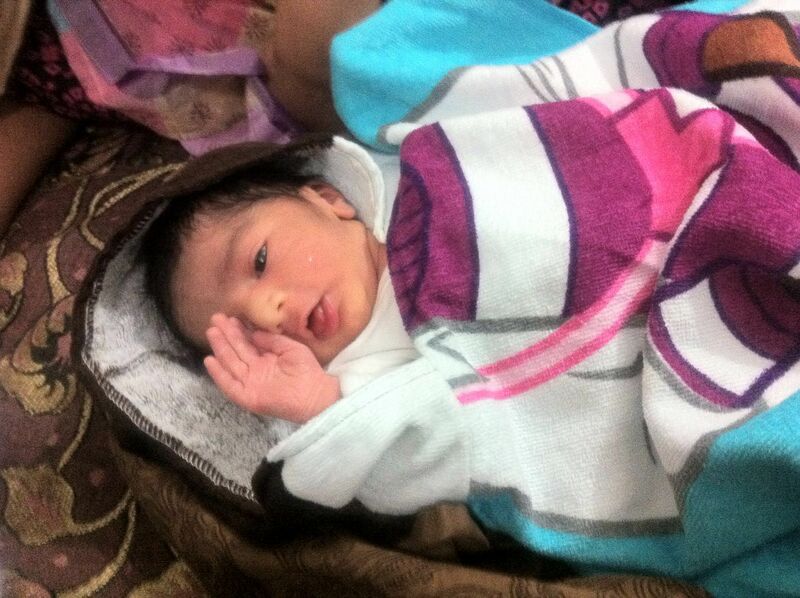 Might be because my munchkin is grown up or may be because of low temperature (Ac controlled temperature). So I decided to buy all those diapers which I haven’t used till date. 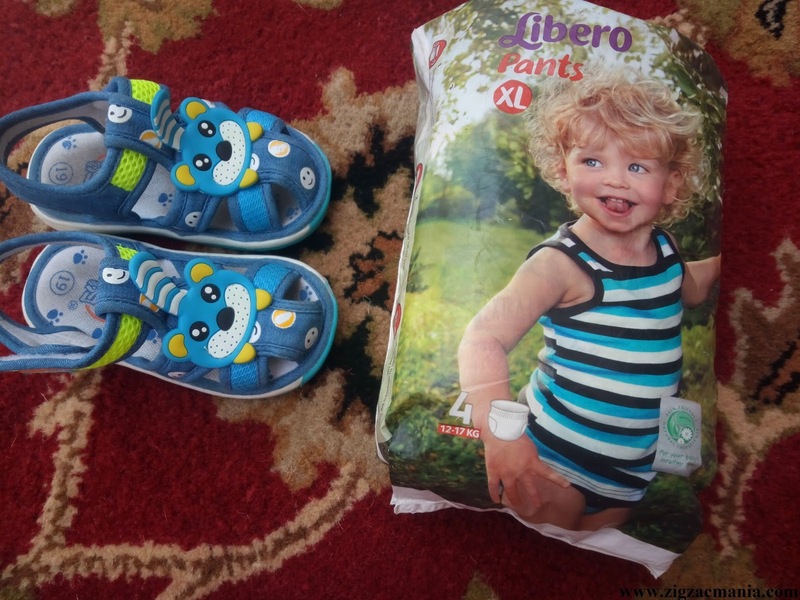 I bought sample size packets of Pigeon, Libero & Huggies diapers & in this post will be talking about Libero Diapers. 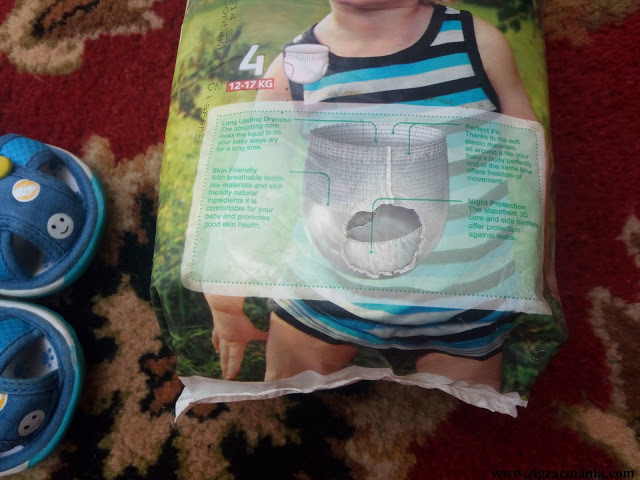 Packaging: These diapers come in a white colored packet which you need to tear off to take out the diapers. 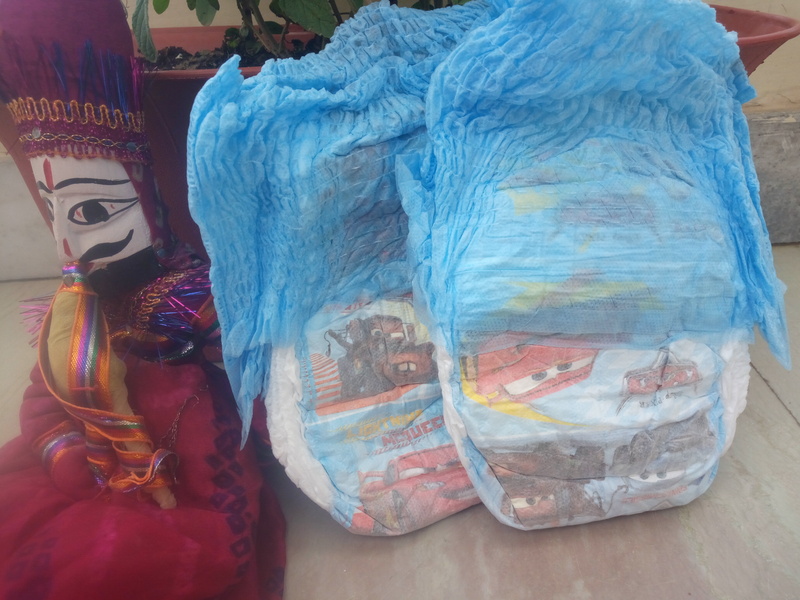 I personally like the paper bag packaging of Himalaya diapers. I also wish that diaper brands come up with zip kind of packaging so that it can become easy to manage & store diapers. 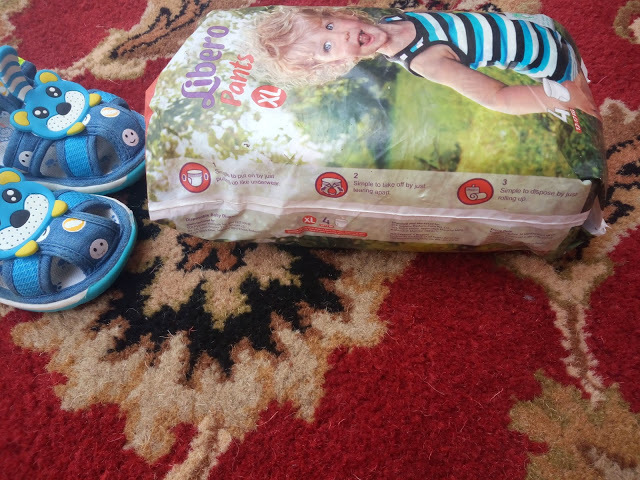 The packaging of Libero diapers is average & there is nothing special about to praise as well as nothing to complain. My opinion about this product: The moment I saw the diaper there was a big smile on my face. I knew that it is a high quality diaper which is definitely going to solve our problem. 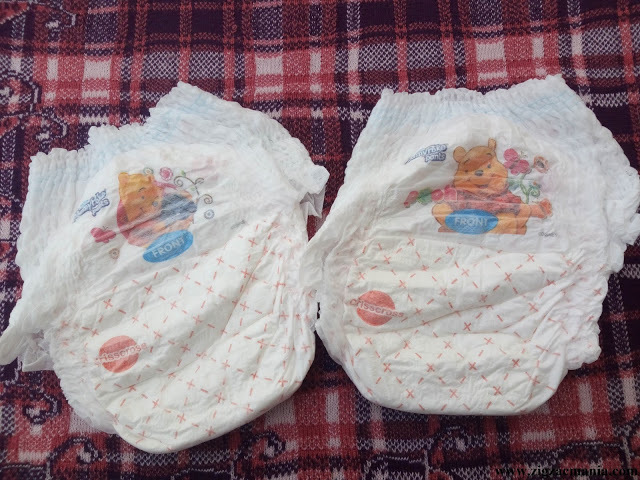 The design is super cute, comes with beautiful pictures printed at the front as well at the back of each diaper. 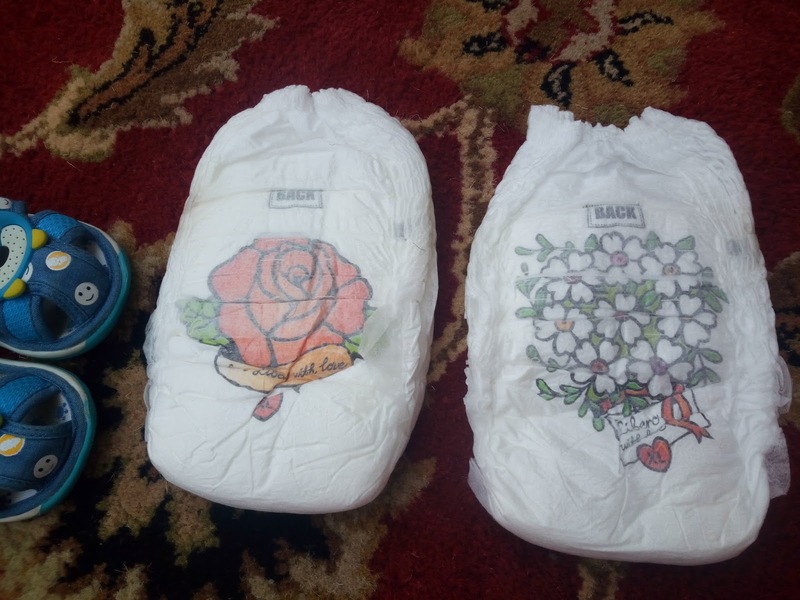 I simply love those flowers printed at the back of the diapers. 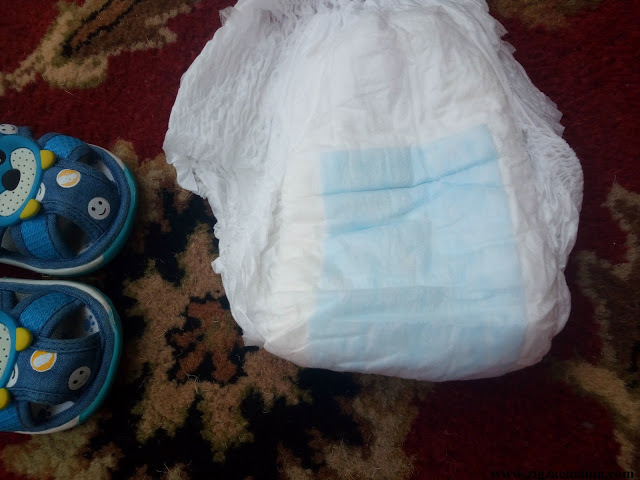 As usual diaper is white in color and has a stretchy & rubber soft waist. 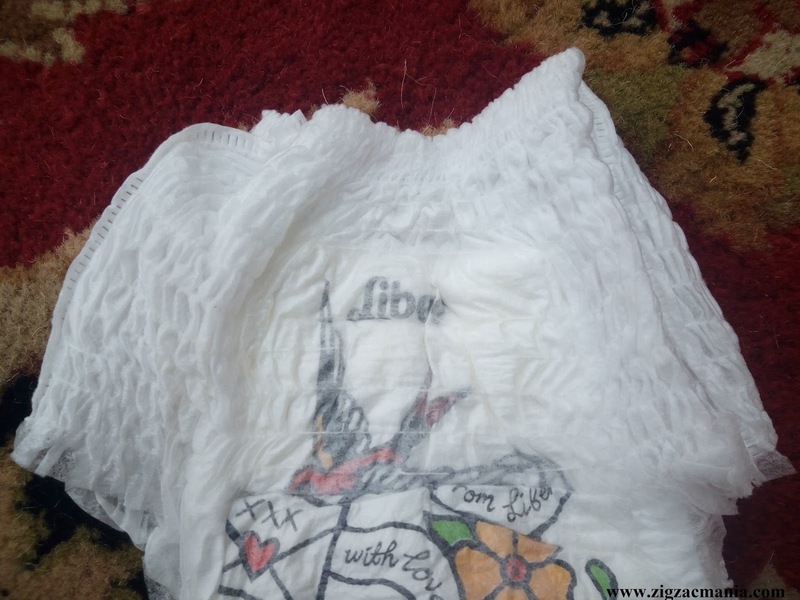 It fits the most snugly around my baby’s waist & thighs so there is no chance of leakage. As I said that my baby’s diaper was leaking badly but this diaper didn’t. I usually make him wear this diaper at 11 PM (before he sleeps) & changed it around 9 Am (10 or 15 minutes after he wakes up & these in 10-15 minutes we snuggle 💑.). 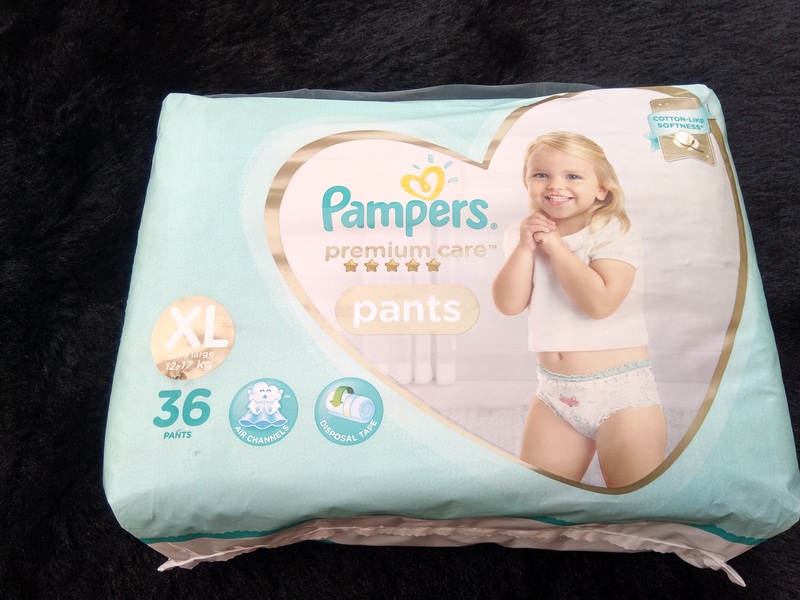 So without any doubt I can say that this is the best diaper I have seen till date in terms of quality, appearance and dryness system. 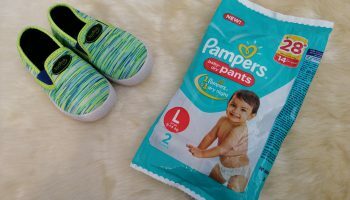 These days I am trying to make my baby diaper free (except when we are outdoor) and making him wear diapers only in nights. 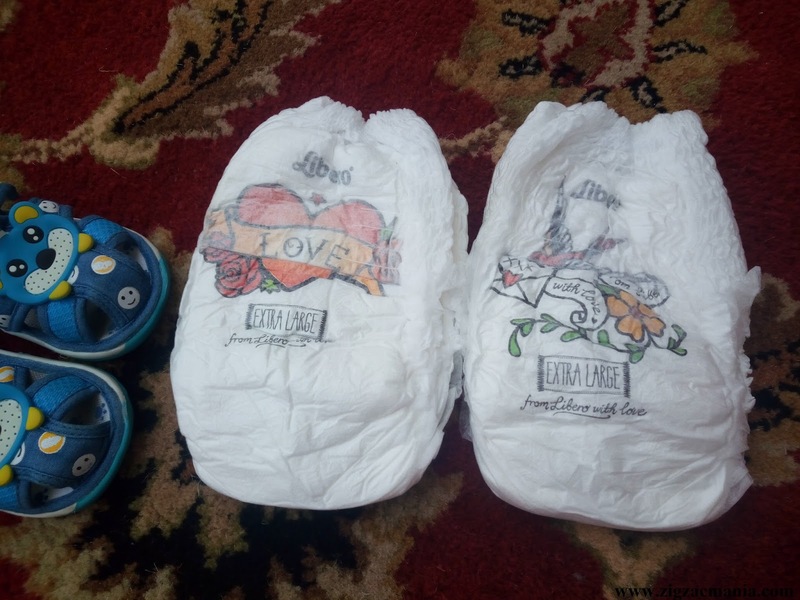 I am pretty happy with these diapers as my baby has a sound sleep through-out the night. Some may find them a bit pricey too but I find them completely worth. The only problem is that finding them is a really difficult task for me as they are not available in most of the shops. 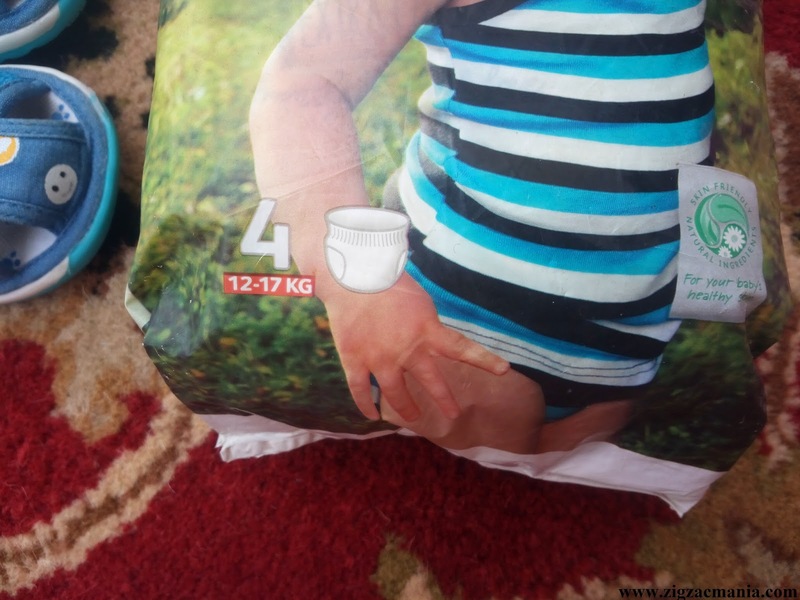 I have heard that this brand is discontinuing these diapers in Indian market (क्यों? क्यों? क्यों?). Definitely a bad news for me but I am so much impressed with this brand that will buy till I can फिर चाहे ऑनलाइन ही क्यों ना मंगवाना पडे 😉. 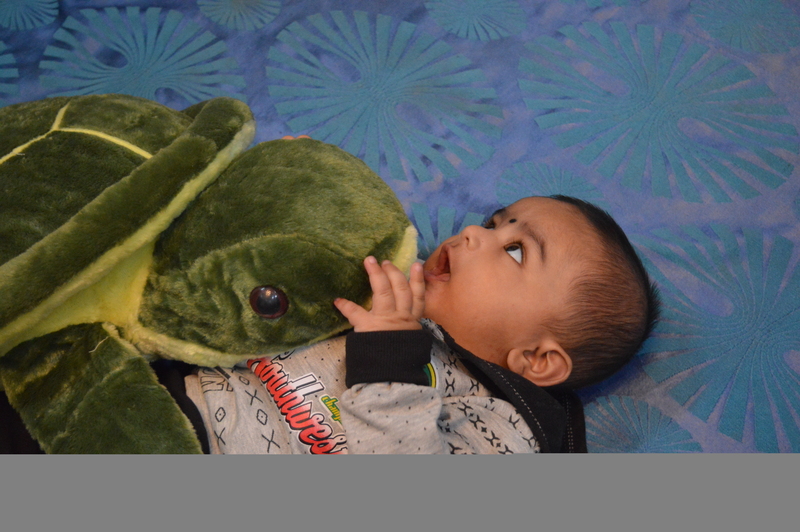 What I like about this product….1. High quality diapers. What I do not like about this product….1. Difficult to find in local stores. I was looking for this review of this brand diapers. Thank God you shared it. Glad that my review helped you. Seems like a nice product. Gonna help the new mommies to choose a nice product for their babies. Nicely explained.. I will definitely recommend this to my mommy friends. This diaper is sooooooo cute! 😍 N seems effective too.. looks great!